Here is one of several definitions that the dictionary gives for the word trust, and the one that I will use for the purpose of this post. 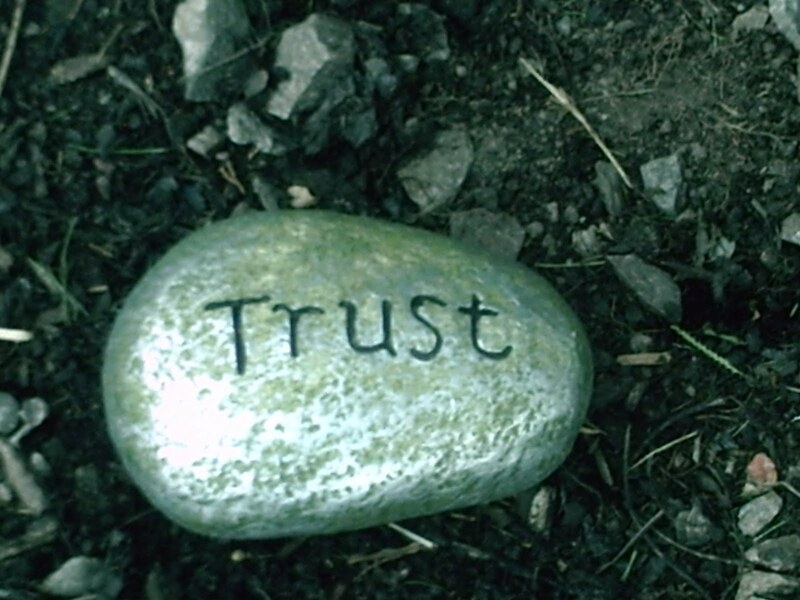 Trust is another theme in my novels, and one that I find the cornerstone of everyday living – how we interact with our environment and people around us. We trust systems, people, routines … It goes from an external dimension to a personal and inner dimension to a spiritual one. When we lose trust (in whatever) our balance is shaken, and so is our reliance, confidence, beliefs, faith, and hope. Our feelings hurt. The issue is that once we lose trust in someone or something, it is very hard to recover. It takes change for us to consider trusting again, and as far as people go, many times the only thing that will make someone trust again is the presence of Love. In a way, Trust encompasses the above mentioned conditions; however, Love supersedes all. In today’s society, it seems that trust has almost ceased to exist. We pay attention to conspiracy theories, and many people delight on these. Whether these theories are true or not is not the issue. It is how you process and internalize the information that you receive every day that will determine your level of trust – external, internal, and spiritual. Pay attention to your “trust process” and see how your balance is being affected. I will use myself as an example. When I start watching more television or increase watching the news, I immediately feel a direct effect on my balance. I like to be informed but I find that if I am going to listen to the news or watch television, I have to place a conscious filter before doing so, otherwise this simple activity may end up influencing the way I feel, and if I pay too much attention to negative news, so does my level of trust. This is just a simple exercise on a very mundane level, but a good example to illustrate. We use Shakespeare’s line very often – To be or not to be, that is the question – but many times, the To Be depends on our level of trust, externally, internally, and spiritually. The question might be to trust or not to trust.